Welcome to the first installment of a new series that celebrates recent accolades for NAIT staff, students and alumni from their peers, communities and competitions of all kinds. People of the polytechnic do great things, and we want to share news of their success. Here's a few that stood out in recent months. 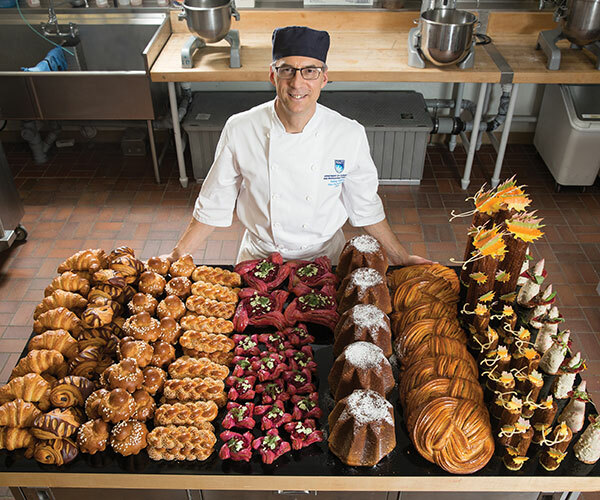 In February, Baking and Pastry Arts chair competed in the most prestigious baking contest in the world, the Masters de la Boulangerie in Paris, placing him among the world’s best bakers. During the 10-hour event, he produced 186 breads and pastries from 34 recipes using more than 100 ingredients. Dumonceaux (Baking ’05) is the first Canadian to compete in the gourmet baking category. Culinary Team NAIT sizzled at the Hong Kong International Culinary Classic 17, earning two gold medals, six silver and eight bronze – the team’s best showing yet. The polytechnic has competed in the biennial international event since 2011. “It’s wonderful to see that all their hard work paid off,” said Vinod Varshney, Culinary Arts chair and team manager. Humeniuk (Civil Engineering Technology ’13) joins 39 other players entering the Guinness Book of World Records for participating in the world’s longest hockey game in February, just outside of Edmonton. The teams skated for 251 hours straight to raise close to $1.2 million for cancer research. Here's how he survived the event. For the seventh consecutive year, NAIT is one of Alberta’s Top Employers. The annual competition recognizes 70 employers that offer exceptional places to work. Judges praised NAIT for celebrating inclusivity and diversity, top-up of maternity leave payments, flexible work options and more. For the second year in a row, NAIT’s on-campus, fine-dining restaurant ranks among the 100 Best Restaurants in Canada by diners who use online reservation tool OpenTable. “It’s a tribute to the work we do to be leaders in the industry,” says Ernest’s maitre d’ Mitch McCaskill (Hospitality Management '08). The inaugural Alberta Beer Awards, held in Calgary in March, raised a glass to two breweries owned and operated by NAIT grads. Town Square Brewing (Brandon Boutin, Steamfitter/Pipefitter ’05; Tyler McNaughton, Architectural Technology ’09; Sterling Nordin, Heavy Equipment Technician ’02) took silver for its amber, Pond Surfer California Common, and bronze for its sour beer, Beets by Sinden. Jordan Jolicoeur (Electrician ’10) was named Aboriginal Youth Entrepreneur of the Year by the Canadian Council for Aboriginal Business as the owner of the growing Carvel Electric, based in Stony Plain. Jolicoeur is the first Métis winner of the national award. 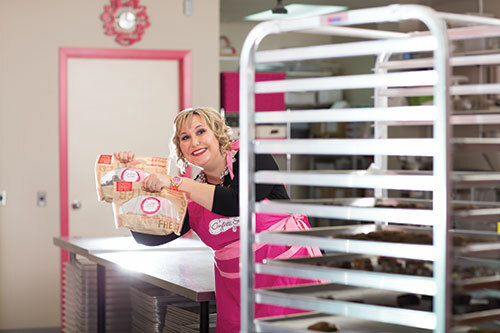 Alberta Chamber of Commerce named Confetti Sweets owner Kathy Leskow (Management ’96) Woman Entrepreneur of Distinction in March. The gourmet cookie maker and businessperson earned the award for demonstrating leadership and innovation; cultural, social and environmental awareness; and community-mindedness. Last fall, Leskow joined other enterprising alumni at the launch of the Mawji Centre for New Ventre and Entrepreneurship, where she shared her insights as a successful business person. Do you know of a staff member, student or grad who's been recognized for greatness? Feel free to let us know.